There were times when humanity sunk into the deepest of darkness, after the heights of Enlightenment had been reached. Whereas the greatest of Epochs in the collective memory banks were filled with Gods and Goddesses, in truth these were the enlightened, and highly evolved Beings, those who lead humanity at such times, which is most remembered and was embroidered along as time went on. There are many cultures or civilizations who existed on the planet, and still exist, where the history, the knowledge, that which was the ancient lore and wisdom, was orally related, and taught and those taught were not allowed to change one word, one sentence, one single syllable, vowel etc. of what was relayed. This was in higher sense that all would be preserved for generations as it was, and not tampered with, misinterpreted, misunderstood, for human ego tends to change higher concepts, higher evolutionary states, into that which it understands, and has a concept of. Most often great truths we misunderstood and then watered down into what the student understood of the original teachings. As humanity fell from the higher states and sunk increasingly into the seas of forgetfulness, the Oral Tradition was a more of an emergency measure, than anything else. We find this practice then, of the oral tradition (learning by heart and reciting, without changing one single word), in both the Celtic Druidic Tradition (hence no written records) and reflected in the African and other ancient traditions. In Africa, the current high Sanusi, Credo Mutwa, was severely persecuted by this own people in daring to write and record their oral tradition via his book “Indaba, my children.” Indeed, his own son was literally burnt to death by an angry mop in Soweto, and Credo barely came out of the township alive. All records and everything under the Central Sun is stored in vast ENERGY FIELDS, which is called the Super-Consciousness Energy fields. Each of the 12 Central Suns, has their own specific conscious energy fields, and each Central Sun operates then as a Source of ENLIGHTENMENT, Illumination, for what is stored within such a Super-Conscious Energy fields is constantly being updated and all is constantly recorded. There is nothing under the Great Central Sun which is not automatically recorded, taken note of, and stored. The only analogy which human beings would understand as vast Energy Libraries, or Hard Drives, which stores everything which exists in the whole of Creation. Each Galaxy and Star System and the systems within them belong to a certain Central Sun (ours belongs to the 7th Central Sun of Illumination, as recorded in my book). Each Galaxy and Solar System is a subdivision and thus each has their own Superconscious Energy Fields, which they can individually tap in. In the beginning those on the planet could easily and effortlessly tap into these, via their own souls, and the sophisticated technology which they used, which automatically linked then into the same field, much like our laptops, cell phones etc. link to the Internet and thus has access to Search Engines, etc. and can communicate globally. The methods used to store information and energy into, were what has been remembered as Sun Discs, and although people look at the what later was created as Golden Sun Discs, these were but trying to reconstruct something that human kind collective remembered once existed, but by then had no access to anymore – or as a symbol of that which one could access, if one possessed the keys and codes of Enlightenment. A high degree of an Evolutionary state where one could remember how to access the information and retrieve it. The First Civilization did not use their vocal chords for speaking but they communicated telepathically – the human language was only given, after they fell from the 7th dimensional state to the 5th and then to plunged into the 3rd. When the latter happened after the Fall of Atlantis, they literally fell into the depths of Forgetfulness, and now could not communicate with each other in anyway. They now had to use sound and their hands to communicate, and thus writing developed. In the Beginning the vocal chords where used for singing, for using sound as a way of raising the vibrations and frequencies, such as chanting, singing, and for healing purposes. The Light Language is a Universal Language of SYMBOLS, which can either be relayed via the vocal chords, or via sacred mathematics (numbers) and Sacred Geometry. The Celtic Druids, and those of their Ilk, never wrote down their knowledge, because they had no need for doing so. They belonged to a much older tradition, and a much older Source of Knowledge, which was millions of years older than the Celtic Tradition. Indeed, they were but part of a pocket of Enlightened Mystery Schools, which had survived Atlantis. With the Druidic and some of the Other Schools, they had retained this knowledge, in ways that we have forgotten about. Although it is known that the later Druids, after the Fall of the Celtic Races, indeed the Gaul’s, had to train for 20 years and they were had to orally learn everything by heart. (Just like the African tradition). Now, most of what is recorded about them, was written by their conquerors, who were far less educated they were. Indeed, the Druids were highly trained scientists, and in the Pythagorean Tradition, they knew the science of numbers and sacred geometries, astronomy, etc. and the Bardic Order were known for not only their ballads, and the way they relayed stories via their music, but how they used instruments in certain ways to create with sound. Interestingly the Romans report that the Gaul’s used trumpets, and other instruments during battles and made a terrible noise. It kind of reminds on of story of Jericho in the Bible and its walls tumbling down, with the use of Trumpets and percussion instruments. In the next 144 years of human existence, we will slowly but surely start remembering that the ancient technology was never lost to humankind, it was just that human beings were so constantly busy destroying themselves, that they lost the plot along the way. Nevertheless, this is a collective lesson in knowledge for all of us to finally master. Each individual soul is responsible for its own degree of mastery and the remembering of the Enlightened State and the application thereof. There are no short-cuts to Enlightenment. The more Enlightened one becomes the more the responsibility arises from deep within for one’s own actions and non-actions. Yet so many souls have incarnated now, who truly carry within the depths of themselves the knowledge of how to lift humanity through the wormholes of their own creation, the Dark Ages, into the Golden Age of Enlightenment. Within the Soul all the knowledge is contained, and in truth we all have the innate ability to tap into the Super Consciousness Energy fields and to retrieve that knowledge. However, before access is gained, the soul’s intent is read. Will the knowledge be used for self-service, and in destructive ways? Then access will be denied. Will the knowledge be used to serve the Greater Whole in truly uplifting and enlightened ways and with great insight and Wisdom? Then slowly but surely access will be granted, to the degree that the soul is open to receiving such knowledge to use with great responsibility. Humanity in truth is standing on the threshold, as the doors to the New Earth have just opened up, and we have the next 144 years to grab hold of the opportunity to truly rise into our highest soul selves, and our highest hearts and minds, to bring about the impetus needed to truly enter the New Golden Age of Enlightenment and Illumination. As souls we are now going through a massive re-awakening period, to a much higher degree and at much higher frequency bands than ever before. We are called back to the higher truth within our own soul, our soul mission and purpose and the reasons why we incarnated onto planet earth. On planetary level the Earth is going through a massive galactic and solar upgrade, and thus her vibratory frequency bands are now fine-tuned to bring her in highest alignment to the galactic core. As she is thus being upgraded, we cannot afford to lag, or else we will not be able to hold life on her anymore. As our frequency bands rises, which we can only do by raising of our consciousness, by truly tuning in galactically via our souls and not through our minds, for the mind can only stretch so far, and not further. The soul is already galactically connected through its other soul parts and soul group, and thus through them, and the Divine, can raise their own frequencies, their vibrations to match that of the planet and the galactic core. We are entering a time of more upheavals and uncertainties, where we will be collectively challenged to truly find solutions and create a much better, higher, and more sustainable way of life on this planet. Obviously, some old things, methods, are just not working anymore. We must find new and higher ways of living and expressing life, in balance and harmony WITHIN ourselves first, before we can create this on planetary level. Most souls will experience a turbulence at this time, which is not always expressible. It is as if one is sitting in a plane, which is experiencing vast turbulence and it almost feels as if the whole plane will disintegrate at any moment. Now, all you can do is sit this through and trust the pilots to know how to fly the plane through the turbulence safely. The Pilot in this case, is the Divine, and the Greater Cosmic Masterplan, for this planet never was, and is an entity on her own. She belongs to one of the solar systems, within the greater Milky Way Galaxy. The Milky Way Galaxy belongs to a much greater cosmic setup: As above, so Below. What manifests in at inter-galactic levels – manifests on planet earth. That is Divine Law. The same laws which govern the galaxies, constellations, star systems, govern this planet and govern every single one of us. The is Omniversal Truth. For the same Divine Source who created it all, created the whole cosmos as one vast Entity, and thus all the galaxies and star systems, Universes, all are part and particle of one single whole, and thus governed by the same rules and laws which govern them all. We can never divorce ourselves from what is going on in the rest of the cosmos. We are the rest of the cosmos for we are intricate linked in the same vast conscious energy field – which governs the Omniverse. Your soul knows this at the deepest core. You might call this governing Power and the Creative Force anything you like: – God, Goddess, the Great Spirit, it does not matter, for each will have their own interpretation of this immense force and the names it carries, yet in truth its true essence is ENERGY. Your soul is pure energy. It consists of 12 energy strands, one single entity, within the greater soul group, and soul cluster groups (I go into this in detail in my book: “Soul Empowerment:” Your soul therefore has unique attributes, genius, to reflect part of the vastness of the Divine, back to the Divine. As awakening occurs within the soul, it will always be brought back to the core truth within itself. Life will always pull you back to remembering the truth of your soul, and the reason you incarnated onto planet earth. I have done Soul Readings for new born babies, and the parents come back to me, and confirm that it is true. What is more, they now understand why the child has incarnated and how to guide it through life, so that it will live a soul-empowered life from the very beginning, and they will assist their genius to blossom from an early age. Most of us, did not have that – we had to struggle through phases of reawakening, phases of remembering the truth of who and what we are! The time we are entering now, will truly bring increasingly bells to ring within, so that we remember increasingly. As all have volunteered to be here at this time, for a much higher reason and the reason is that we chose to be here, to assist humankind through this massive shift at planetary and galactic level. The earth is already shifting on her axles and this has been measured and reported. However more than just a physical shift, this is a massive shift in human consciousness. We must step onto the next evolutionary plane of existence, which is on the 5th to 7th dimensional frequency band. Indeed, the Age of Aquarius is already the beginning of the New Golden Age, the Age were humankind will finally be given the opportunity to master the lessons, not mastered during the time of Atlantis, and all before Atlantis, even to the time of Elysium and the Lion Kingdom (I recorded this history and phenomenal technology in my book “Why I was born in Africa: – the previously unrecorded history of Elysium and the Lion Kingdom). We must truly now allow ourselves to be upgraded to the highest degree. Yes, it will mean that we must have a radical change in our thinking, our belief systems, our whole way of living life and being operational in it. I have gone through this process in the last ten years, and I can only encourage you to allow yourself to be upgraded to the highest degree. As my old life and living disintegrated increasingly, there were moments when I wished to cling onto the old, as I had no foothold anymore. Now, looking back, and seeing how far I have come I never want to have the old life back. Yet, I know this is just the beginning. And I embrace ALL of life will all that I am, for truly this is a new life, a new beginning for all of us. Embrace the new way of life now springing forth. Embrace the turbulence, the turmoil, and know that all of this is leading to the next destination, the whole new creation of planet earth and all upon it. The future is already there living within your own soul. You have all the tools you need, the knowledge, there programmed within your own soul. You just need to trust what is there inside of you, and to use your own GPS systems, the maps and instruments encoded within your own soul. It is just a matter of remembering and allowing the veils of amnesia to lift. It the time to take leaps of faith, and to fly on the wings of renewed hope, renewed strength, renewed courage to allow yourself to be revamped, reinvented, and re-created into the highest possible version of yourself. And then to assist the rest of humanity through the changes, so that we all can now truly step into a much higher, more balanced, and harmonious way of life. What a time to be alive and well and on planet earth. The Sun Gate to Sirius and the 7th Central Sun: The Raising of Consciousness to the 7th Cosmic Dimensional Frequency Band. When the Sungate to Sirius and the 7th Central Sun opened in November/December 2017, the window of opportunity opened up for those souls who are ready, to truly be activated to the fullest by the Fires of Illumination from the 7th Central Sun – thus to fully raise their consciousness levels to the 7th dimensional state – the state of the Ascended Being. This is an INNER shift, more than an outer one, and is the responsibility of each individual soul. I cannot stress the importance of what is happening now! This has now truly opened up what has not been accessible to humankind for millions of years. When each moment is sacred and filled with love, insight, and wisdom, when each day and night are sacredly filled with love, insight, and wisdom. It is when humanity finally rediscovers its sacredness, as part of the Greater Divinity, a greater Equilibrium, a Greater Love within the Omniversal Beingness, the collective will finally come home to the true Greatness, the Genius within themselves. This is when the Golden Age will have come forth – when we have find come home to the greater Truths within ourselves, as true Sons and Daughters of the Divine. Sirius is the central hub, around which the original 12 Master Galaxies, created by the Divine in the very beginning of Creation, is structured around and of. Therefore, Sirius holds the Central Keys and Codes, of all our planetary existence, from the first creation of the inner earth, Agartha, to that of the outer earth, on which we are living now. With that it holds the very cell memory banks of every single living organism on planet earth, and thus all which ever has been created on it. More than this, this holds true for all the 12 Master Galaxies. However, during the Wars of Heavens, three of these Master Galaxies were completely blown up, Lyra and Andromeda, severely damaged, so that the Lyran people had to seek refuge in Sirius in order to regain their strength, consolidate and then repair their galaxy. The Andromedins migrated to a new galaxy, which they colonized and which we now know as the Andromeda galaxy, next to the Milky Way Galaxy. The 7th Central Sun, therefore was programmed to use Sirius as a type of satellite from which it then beamed all its knowledge, the Fires of Illumination, into all the 12 Master Galaxies, and this then in turn enabled the very high consciousness and 7th dimensional state of life on planet earth, and in this solar system at the time of Elysium and then to some measure the Lion Kingdom, knowing this is was only established AFTER the Wars of Heavens, and then by the Lyran People, on what was left, or had survived from Elysium, after the earth was completely thrown out of orbit when the planet between Mars and Jupiter blew itself up. However, subsequent happenings, and earthlings tendency to blow themselves up, then caused the Intergalactic Counsels whose headquarters is in Sirius, to close down the Sun gate from the 7th Central Sun completely, plus the Crystal Pyramids, until such time as humankind finally could step out the dark Ages which befell them when Atlantis blew itself up, and were ready to rise its consciousness levels back to the 5th and then 7th dimensional frequency bands, as was in the beginning. In the last 150 years, so much has shifted as the Lightworkers cosmically volunteered to incarnate on planet earth to assist planet earth’s rebirth into the 5th dimensional state, which as now happened and thus the Sun gate’s opening now. However, humankind at gross level still needs to make a huge shift. Yet, this is very much an INDIVIDUAL shift, which must happen deep within the heart and soul, so that the higher heart-mind, can be activated, and the higher transmitter channels open. One cannot access the 5th to 7th dimensional frequency bands, without the INNER shift occurring. One must be able TUNE into these frequency bands, via the Soul, and therefore one Soul’s energy must be in alignment with the 5th to 7th dimensional frequency bands. It is very much like tuning into a Television station, – you to find the right decoder to unlock the satellite transmissions, otherwise you cannot gain access to those transmissions. I have done more than a thousand Soul Readings in the last few years, as my SOUL GIFTS were restored to me and reactivated, as I tap into the Super Consciousness Energy Fields, as thus transmit ENERGY records. In the Beginning this was where all information was stored in, and not in any other media. Indeed, this is how it functions Cosmically. When souls come back to me, after finally realizing who and what they are at SOUL level (and most knew this deep down, within themselves, but then tended to not heed that), something deep inside of themselves triggers, as the keys and codes within their own soul get reawakened, as remembrance returns and the veils of amnesia start lifting, or they start tapping more and more into the Soul memory banks and their own higher transmitter channels open up. The 5th Dimensional State is all about forgiveness of self and others and the transmutation of fear and negativity. One is receptive the Divine Love, Wisdom and Power, and the Unity consciousness arises as one finally understands that in truth, that one is ONE with all and everything, and the DIVINE, the rest of the cosmos, and in truth cannot ever not be part and particle of the ONE SINGLE WHOLE. The 7th dimensional State is the frequency humans rise to when they fully have activated their higher Light body, their highest transmitter channels and now truly can tap into their Higher Soul Selves, the Soul Groups, and the Cosmic Hierarchy. Before this many soul then ascended, meaning they left their physical forms completely. However, now a lot of these soul who have already reached this state, have chosen in the highest possible service to the Divine to stay in their physical form and assist the rest of humanity to raise their consciousness levels – as it takes one Ascended Master Being, to raise the frequency bands of thousands, if not millions. This is also known as the 7th Heaven, where the higher Ascended Masters and the Masters of Shamballa reside, as well as the Ancient Ones. It is also where most of the angels reside in. One cannot access the 6th to 7th dimensional states, without truly mastering the Negative Ego. In that ego is neutral, if imbalanced, it will be destructive, on either side of the scales. The Sun gate to Sirius and the opening of the Fires of Illumination from the 7th Central Sun, is now allowing the Ancient Sun-discs to emerge, but also then the ancient keys and codes of SUN- meaning ILLUMINATION. An illumined Being, is fully conscious, in full mastery of himself or herself, has overcome or learnt to step passed the lower ego, and is therefore, truly anchored into the Highest Soul Self, and fully empowered by the threefold fires, of Love, Power and Wisdom. Power without wisdom and Love is brutal. It forces, it destructs. Yet, power when wisely used, with great unconditional love, brings about the highest possible service and always aligns to the Divine Will and Purpose, which is greater than the sum of Self. It therefore creates balance and harmony, for it can do or be no other, for the inner SOUL SELF is in harmony, and balance, equilibrium with itself! This time, then is essentially the PATH OF THE SOUL, towards remembering its ONENESS with all that is. More than this, it is the inner empowerment, the inner soul activation and full activation of the higher transmitters, with the state of pure, unconditional love, steeped in wisdom, and then the powers rise, to fully live a Soul Empowered life. Once one is Soul Empowered, one can do or be no other than to fully serve one’s soul purpose and mission, with great love and devotion. In truth, the soul has incarnated for one purpose only – to serve in the highest and best way the greater good of All, through utilizing it soul genius, and therefore serving the Divine with all that it is! By doing this fully, and with great love and wisdom, and empowered, the soul is not only raising its own consciousness, and dimensional frequency band, but that of the collective as well! Your future self is now emerging as all of us are going through immense energy upgrades to prepare us for the New Life on planet earth as she has now ascended into the 5D. What we believe to be the physical reality of life on planet earth, exists no more. Some will try to cling onto the 3D with all they’ve got and in the process, will find that the more they cling, the more they will find that they are grasping thin air. The truth is that a lot of us have been through the process of total disintegration in the last few years, and now are leading humanity home into the new World. We had to lose everything, and find we could hold onto no-thing, and now have emerged in a much higher consciousness state than ever before. We do not take life in the physical world so seriously anymore, for we have found that whatever we tended to lose in the process of our higher awakening, is not needed in our new life anymore. We have done it, been through it all, and felt ourselves carried on the wings of angels. We have learnt not to attach to anything or anyone anymore, only to have preferences. The truth is that in the next 144 years, all will disintegrate which no longer serves the collective of the planetary whole and therefore humanity. We are here on this planet but by the grace of Mother Earth – let us remember this! We are but passengers and crew. She can at any moment decide to shake us off her, like a dog will shake off flees. She can choose to allow us to evolve into the 5D and higher WITH her, or she can choose to cause mass destruction and evacuations, like happened in the past. In truth Mother Earth, never has shaken off anyone. It was human beings who destroyed Atlantis and what was before her and then literally reshaped the earth, by using weapons and things in war, which caused havoc and the sinking of land masses. So, in truth she has tolerated that, but now with her rising to her original state in the 7th dimensional state, with the rest of the Milky Way Galaxy, those who cannot evolve into those higher dimensional states with her, will just loose form. Each dimensional state has vibrational energy frequencies. The higher the vibrational frequency band, the higher the evolutionary state of all which exist in that frequency band (dimensions are just that, energetic impulses of life existing on that frequency band and holding form.) The lower life in the lower frequency bands, cannot move into the higher frequency bands, without starting to disintegrate and deteriorate. This is simple science, so we need heed this. When you are living in a much higher frequency band, you need a much higher vibratory physical form. That is why our physical bodies have been steadily upgraded since 1994, with the massive cosmic convergence and Intergalactic Federation decree that life on planet earth must evolve now, as the shackles and bonds of the 3D world has been steadily coming off. On the 24 May 2017, she has now officially ascended into the 5D, and therefore then the ancient Crystal Pyramids and the crystalline pyramid grids, and Lightning Rod of the Earth have now fully become operational again, and will steadily now be reactivated to their highest potential, as and how life on planet earth can adjust to this. In my new book “Why I was born in Africa: the previously unrecorded history of Elysium and the Lion Kingdom” I go into details regarding this, and I have recorded my whole journey of discovery and reactivation of this grid plus pyramids plus, in my book. In this in the last few weeks, massive energy centres have been reactivated. It is reactivating the 7th dimensional energy grids of the Crystal Pyramids and the Crystal pyramid grids – as said before, in stages. Once this energy is released, it has a ripple effect on all of life on planet earth. For these grids are directly linked to the 7th Central sun and the Sun Discs, and therefore the energy frequency IMPULSES of energy from the 7th Central Sun is busy reactivating all which has been dormant for billions of years on planetary scale. This is highly advanced technology and it is not for the uninitiated to know about. However, what I am trying to get across here, is that this process now is on full throttle and on track. We cannot go back into the 3D world anymore. It has left us, it has gone. We are now being intensely and utterly upgraded in our physical bodies, including every single cell and DNA strand, the pineal and pituitary glands with the third centre of the small tongue, and then other hidden centres in the bodies (all 12 of them) will start being reactivated so that we will start losing the spoken languages, and the written and will start communicating telepathically again, and energetically. So, we will start remembering how to use the Super consciousness energy fields and high technology again, with teleportation, bilocation etc. This is a massive upgrade now going on and therefore we cannot afford anymore to lag. ALL THE CHANGES ARE HAPPENING WITHIN OURSELVES! The Keys to this all lies WITHIN you, more than without! For the keys and codes of your soul will get activated as you are ready to step up in evolutionary consciousness. This goes with the upgrading up your physical body and thus then all the other 12 energy bodies. Each one of us is differently created energetically at SOUL level. Therefore, the upgrading will not be the same for all of us. Remember this. It will be that 70 people are together in one single room, and three will rise into the 5D and higher and the rest will not be able to. This is how this works. This is a type of energy upgrading which goes beyond human mind’s limitations of understanding, into the conscious state, where there is all understanding. The key to this state lies via the SOUL and the soul groups and the cosmic interconnectedness. Let those who inner intuitive knowing – know. Very important first ever seminars: if you miss this you miss immense happenings. These keys and codes have lain dormant and carefully hidden for millions of years. Languedoc is the womb of the Goddess and has held her secrets for an eternity. It is time to remember. It is time to heal with the collective of mankind. It is time for the 7th Central Sun to rise again over Languedoc — and with it the lasting legacy of Avalon — and what has been before. Please note that Judith Küsel does not belong to any order, nor group — all of her information for these seminars comes from cosmic sources and not from earthly ones. This program consists of 7 seminars given over 10 days in two Units. Unit One contains three seminars and Unit Two contains four seminars. They work together as a whole, activating immensely important keys and codes within and without which are being returned to planet Earth at this time. As each seminar will activate its own particular set of keys and codes, you may choose to attend only Unit One, Unit Two, or both. It is your own free will and choice. If you choose to attend the entire program, both Unit One and Unit Two, you will receive a special discounted price. Each seminar is limited to only 25 people, so it is wise to book well in advance as the interest in this program is global. In the days in between the two seminars, there may be tours and healing work held at those places which need to be reactivated. Please note beforehand that some of these sites are NOT well known, and therefore not overcrowded. The tours, if Judith is guided to do so, will be announced during the seminars. Priority for the tours will be given to those who have registered to attend both seminar Units One and Two. If you are attending the entire program — both Unit One and Unit Two — it would be wise to book accommodation in the area for at least the entire 10 days. The area itself is centrally located, making it easy for seminar participants to explore interesting sites on their own as well. The seminars that are grouped together are meant to be attended as a whole. The Hidden Path to true and lasting love. In the beginning: the creation of your soul. The twins arrive on planet Earth and their involvement in the first civilizations. The legacy of Avalon: Matriarchy and female dominance. The legacy of Lemuria and Mu: Androgyny. The legacy of Atlantis: Patriarchy and male dominance. Imbalance occurs and the Goddess withdraws her energy. The Challenge of the Twin Flames. The Ecstasy of the Twins. Outward, into the same direction. The Mystery Schools of the Ancients: what was before Atlantis. Atlantis goes insane and the teachings and knowledge go underground. The Mystery Schools of Egypt and Languedoc. The Hidden Mysteries – the hidden path and highest calling. The Sacred Rites and the Hidden Initiations and higher teachings, with special reference to the Sacred Temple of the White Flame, etc. The High Initiations and the Fires of Illumination: Ra-A-Ra-Hu, A-Y-S-I-S-Ra-Hu-A. The Serpent (Spiraling) Energy, the inner initiations, and the Crystal Pyramids. Isis, Osiris, Ra in Egyptian remembering. Mary Magdalene and Jesus Christ – in context of what was ALREADY THERE long before they came and why they came to Languedoc. The highest pathways of initiations and highest service work – the New Age arises! This seminar, with meditations, is a deep and profound journey into reconnecting with the Goddess and into the very mysteries of All-That-Is. This day is for both men and women. It is a journey into the Ancient Knowing, the very depths of the heart and soul and the immense hidden knowledge which was sealed and hidden. As we reconnect at an immensely deep and profound level with the Feminine Divine and open our hearts, our souls, our Being, we are then led into the hidden teachings of the Sisterhood and the return of their sacred service to humankind. We open up the thousand petal rose of our hearts and souls. We work intensely with the higher healing of our sacred womb – our own powerhouse, as we work on cleansing, clearing, thereof and profoundly connecting with our own inner Divine Feminine Core and the Goddess herself – within and without. We release all past life vows, oaths, pacts, etc., and all which no longer serves our highest soul growth and good. We celebrate the initiations and passages of life – our whole life, all that we are. We activate that Goddess energy within and without and the Sacred Keys and Codes of the Sisterhood of Rose, the Serpent and the sacred Chalice. This is done in preparation of the final rites and passage at the end of this 7 day journey of the Holy Fires of Illumination. In Seminar Session Two, which consists of Seminars 4—7, I will delve deeply into the long forgotten history of mankind, into the very core moments when the Earth was co-created, the deeply hidden and unrecorded history of this region and planet earth (which never was recorded in writing, as we know it, because it was not necessary to use such primitive forms of communication at that time). The Creation of Mother Earth and the 12 Master Galaxies. The 7th Central Sun of Illumination. The 12 Crystal Pyramid Temples, the Crystalline Energy Grid, and the Lightning Rod of the Earth – the very firmaments of the Heavens recreated plus the Tree of Life. The 12 High Priests and the 12 High Priestesses. The 12 Crystal Skulls and keys. The Spiraling energy of the Goddess, the Mysteries of Creation, the Tree of Life. Elysium – the crown jewel of creation. The Lion Kingdom – and France/Spain. The Brothers at war – the whole rearranged. The rising of Avalon, the Celtic Kingdoms, the Red-haired Giants and the Spiraling Energy. The Guardians and Keepers of the secret keys and codes. Languedoc – Southern France and Northern Spain and what has sunk offshore etc. The Matriarch roots herself in Languedoc – the Goddess, the womb. The Hidden Central 7th Sun – Ra-A-Ra-Hu an, A-Y-S-I-S-Ra-Hu-A, the sun discs, the Crystal pyramids. The Ancient Ones, Agartha, inner Earth. Avalon, the Druidic High Order of High Priestesses – the High Order of the Rose, the Serpent and the Grail. The High Order of the Alchemists and the High Order of Merlin and Esclaremonde. The Chief High Druidic Titles: Merlin and Esclaremonde. The Sacred Groves and Stone Circles, Pyramids. The Lyre, the Laurel Wreath and the Grail. The Hidden Teachings of the Grail Mystery School of the Pyrenees. The Fall of Avalon, the rising of Atlantis – the patriarchy starts its stranglehold – the Goddess goes underground. Please note that Judith Küsel does not belong to any of the organizations or societies mentioned here and she has no earthly connection with them. This seminar is solely the work of Judith Küsel and, therefore, even the Sisterhood of the Rose she works with is not of the earthly planes. The links between Avalon, Languedoc, Ancient Egypt, Greece, Haran, etc. Apollo, Artemis, and the Oracle of Delphi and Monsegur. The Ancient Mystery Schools of Languedoc, far more Ancient than those of Egypt, etc. The Roman Empire and the rising of Christianity. Mary Magdalene and Jesus come to Languedoc. 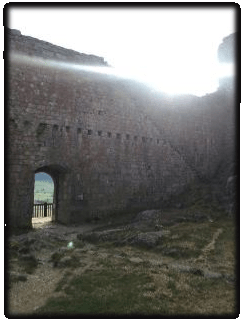 The Cathars and their hidden roots. The Troubadours ignite the fires. Knights Templars: Their origin, their legacy, their connection to the Cathars, the Mystery Schools, Jerusalem, Essenes and Hermetica. The Truth about the 7th Temple of the Central Sun and the infinite womb of the Goddess herself – Monsegur – the Temple of Illumination. The Caves of in the Sarbathes mountains and their connection to the Ancient Ones. The 12 and 24 return. The Laurel Wreath rises again. The Sacred Sisterhood of The Rose, the Serpent and the Grail have requested a deep and profound higher healing of the whole of Languedoc, and so this day will be dedicated to the higher healing of SOUL of Languedoc, of the WOMB of the Collective, men and women. As we reconnect in an immensely deep and profound SOUL level with the Feminine Divine and Masculine Divine, we will open up the thousand petal ROSE of our hearts. We will move into the higher healing of our wombs, men and women, for with men this is their prostrate area. We will move into the higher healing of the infinite SOUL of the womb of the earth, of Atlantis, or Avalon, and what went before. We will bring our inner man our inner woman into beautiful harmony and balance once more. We open up our soul keys and codes and whatever comes to the fore, as we are guided. We open our inner Suns – the Sun Grail, the Inner energy systems and reactivation of the infinite connection to the Sun of Illumination – the Sacred Fires, the highest Consciousness of pure radiant Christedness. We activate our Lightning Rod, the Tree of Life, the Rivers of Life, Higher Transmitter Channels to the Divine, and the 7th Central Sun. We will read the Cathar Gospel of love. We will call in the fires of illumination and purification and we open our hearts to unconditional love. We end the day with a special ceremony of celebration and dedication. We commit ourselves to the highest service. The Sacred Ceremony of the Rebirth – Languedoc reborn as the Fires of Illumination return, the Goddess womb is opened up, the chalice reactivated, and the Rule and Rites of Pure Love return. The Sacred Ceremony of the Sacred Womb of the Earth – The Power of Love. The Sacred Ceremony of the Full Reactivation of the Fires of Illumination and the reactivation of the keys and codes of the Great 7th Central Sun of Illumination. We celebrate with music and song, as we all raise our voices, to sing the Sacred Hymn of the Cathars in unison and celebration. We remember the legacy of the Troubadours, the Cathars, and all which has come before them. We celebrate the return of the full activation of the Womb of the Earth, the Sacred Fires of Illumination to Languedoc. We celebrate our return to wholeness. We give thanks to the Great Divine Feminine and the Great Divine Masculine, and the immense love which overflows from their sacred union and into us. We celebrate the immense Power of Love. We honor the very heart and soul of Mother Earth and the Divine. “Ani Williams is one of the most celebrated harpists and singers of her generation, with dozens of recording credits to her acclaim. 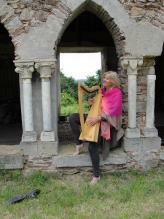 A pioneer in the field of women’s sacred music, she delights in performing her original instrumentals and songs at sacred sites all over the world.“—PJ Birosik, Musik International Corp.
With her harp and song, she gives a voice to the Sacred Feminine, The Goddess, the Ancient Spiritual Traditions and Mystery. Since 1985 she has performed internationally and she also leads Pilgrimages in France, Spain etc. As a Sound Therapist she developed Songaia Sound Medicine, a beautiful healing tool. PRICING: All pricing is in Euros. The Seminars will be held at: Château des Ducs de Joyeuse Hôtel, Allée Georges Roux, 11190 Couiza, France. If you book both UNIT ONE and UNIT TWO, you receive a 20% discount. BOOKING: Since there is global interest in these Seminars, we suggest you Book Early! The cut-off date for booking is 15 July 2016. Each Seminar is limited to only 25 people. Preference will be given to those booking both seminars. Upon confirmation of your booking request, you will receive an invoice from PayPal for the cost of the seminar you are planning to attend. Credit Cards are accepted for payment. You will also receive a detailed list of nearby accommodations, restaurants, airports and transportation options to and from the airports. The movement of the Central Suns, the galaxies, the Universes, the star systems all rest on the very foundations of cosmic order and balance. It rests upon the same basic Universal Cosmic Laws, within which we have been created as soul occupying physical form on this planet. To me the last few hours have been one of integration the immensity of the higher insight and understanding of this in some energetic form for I work with cosmic energies and energy fields, and therein the underlying order. I have for the last ten years of my life steadily been introduced to massive intelligent and vibrant life force energy fields, which form a vital component to the very structures on which the whole Creation is based on. The more I am shown, and more I record what I am finding, the more my innate respect for the Divine Heart and Mind, the very womb of the Creative Force, in which this gestated and was birthed into being. I stand in awe and wonder, and I am therefore being shown more and more, that nothing under the firmaments of heaven is ever just randomly there. The Master Intent placed it in perfect synchronicity with the rest, as it harmonizes into one single symphony of cosmic Beingness, Existence: life breathing itself and sounding itself into existence. To me the portent of this time is the steady reawakening of Mother Earth, into the full powers and immense perfection in beauty she was created for and is reemerging again. It also comes with some wonderful remembering of humankind of what has been before, and what is there to retrieve, to acknowledge and to implement, so that the very foundation of the New Golden Age can be found on solid ground, solid foundation, and immense changes of heart. The SOUL of Mother Earth is reawakened. 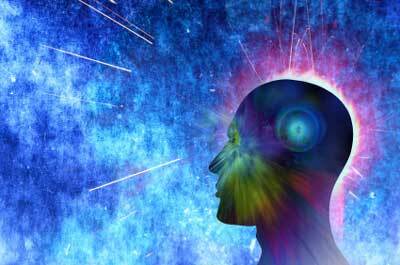 The SOUL of human kind is therefore reactivated, as the higher states of Consciousness rises. We have forgotten how to communicate on so many levels with the vibrant sounds of the earth, the very songs, the music, the harmony of the cosmic music of the spheres. We have forgotten the use of the language of light, and the sounding thereof. We have forgotten that we reverberate on the same frequency bands as the rest of the cosmos, and that our souls sing to the very tunes of the Divine Harmonic impulses of Light, Love, and Sound. However here are again multiple layers, of hidden meaning found. For me to be able to do the massive energy work that I am called upon to do, I literally have to TUNE myself into the vibrations and frequencies of the energies and energy fields I am working with. If I do not tune myself in, then I cannot sing with the frequencies of the earth. I am using a metaphor in the “singing” here, as a way of tuning in, for I am reminded of a symphony orchestra. Before they perform, they all tune in their instruments, so that they are all on the same key note. If one single instrument is off key, the whole collective sound is affected. My hearing is so fine-tuned, that when someone sings off key, or any musical sound is off key, I literally want to place my hands over my ears to shield them from the jarring sound. Something within me immediately reacts to the disturbance in the energy field emitted by that sound. Now, understand, the whole earth is like a massive celestial instrument, and she is tuned in cosmically. She vibrates on a certain octave of celestial chords, and therefore she vibrates frequency wise, on this chord. Just like your soul has a unique tonal chord and vibrates on that chord, and is fully activated when that chord is sounded, chanted, or played on an instrument. The Earth is therefore then fine-tuned to the solar system, the galaxy of origin, and to the Central Sun she originally was born into. I am not talking about the planet we know as the Sun, but the Centrals Suns, who reverberate throughout the cosmos and radiate forth and they all synchronize to the tunes of the celestial music of the spheres, and the Divine cosmic sounding boards. I personally have developed a great respect for the magnificence of the Omni verse and the way it vibrates with energy forces. In German they have the most powerful word (sound) for the whole Omni verse: DAS ALL! In other words ALL is ALL. ALL vibrates on the SOUND OF ALL! ALL envelopes and encompasses all. What is happening now with the mass influx of energy changes, as we are being fine tuned to be much higher sounding chord, amplified by the rising of frequencies of planet Earth, as she is being up-tuned to the original frequency of sound she was originally created for, we will start to find that we react more and more to sound, in whatever form this may be. Something deep inside of us will start feeling this vibrational change, as all becomes less dense and therefore less solid. The very slow, dense, and very solid forms will melt away. In that it is best be very selective with what music and tone you tune into. Those who have had Soul Readings and Twin Flame Readings form me – use your tonal chord. Play it, chant it, and listen to it. Crystal singing bowls are wonderful tools to tune into the sounds of your soul and the sounds of the earth. So are gongs, and instruments which vibrate when playing it: violin, harp, lute, guitar, etc. The vibration of the string reverberates energy. Your soul vibrates on this highest possible frequency transmission of that reverberating sound. We all know that the sound of water is calming and soothing to the spirit. I have during my work with energies and energy fields understood certain concepts of the earth’s tuning systems, and also started to grasp how the Ancients knew how to use certain energy spots on the planet in order to fine-tune themselves and their civilizations in immensely powerful ways. The whole cosmos is now moving into the higher frequencies of new and higher sound vibrations, chords, octaves of sound (we have a very primitive capacity to tune into sound and music for we lost three quarters of our own hearing ability of sound frequency with the fall of Atlantis). Therefore we will be upgraded now, with Planet Earth, to tune in cosmically on a much higher sound frequency bands. Therefore those who tune in with the INNER ear will be able to hear sounds which their outer ears cannot hear. These are the celestial higher frequency chords, notes, music. Some of the musicians will start tuning into this more and more and will bring this to humanity in a form which will bring in the activation of the greater hearing and tuning ability of mankind in the next 50 years. I am so inspired by this that when I tune into it my whole body, and the cell of my body starts vibrating. It is such an immense Renaissance of human understanding which is happening now. http://www.judithkusel.com/readings for Soul And Twin Flame Soul readings. Infinite Being and all cosmic existence are in multiple forms, in octaves of existence and dimensions exist simultaneously. It is in intricate masterly movement of simultaneous existence, in one single eternal dance of perfection, and not one single cog in the giant spiraling vortex of Creation is out of place nor nonfunctional – creation always exists in perfection. Yet it is then forever expanding onto itself, continuously. Nothing is ever static. The laws of death and rebirth are one continuous cycle for nothing which is stagnant can ultimately enhance the greater spiralling flux and therefore it will disintegrate in its stagnancy at some point. What I have discovered in the last few years of my earthly and cosmic journeys, when I started to tap into the different dimensions and the Super consciousness Energy fields, is that life on this planet is not only in existence in the all too familiar 3D world. Therefore we truly cannot measure life or life forms, or any form of existence, just as one in the physical world alone. There are OCTAVES of simultaneous existences all working together AS ONE SINGLE UNIT, ONE single ENERGY FIELD – but in different dimensional states and then in a type of time-warp mechanisms, where one cannot tap into the higher octaves of co-existence, if one is not ready to step into them. To me this has been an immense inner journey of starting to grasp the fundamental concepts involved here and I find this fascinating: = most scientists and human being only exist in the very dense and low/slow density of the 3D world. To them this is what reality is all about, and then the utter chaining to this, the fear to explore beyond the norm – beyond the physical and move into that which is non-physical but exists. It is perceived by limitations of the human mind as non-physical, when reality it is just as physical but in a different octave of Being/Existence! What we often see as non-physical is actually PHYSICAL and in Physical EXISTENCE in another dimensional form and higher frequency fields. It is just AS REAL as the physical forms and physical existence in the dense 3D world and it moves in the higher octaves of energies and energy fields, which vibrate at a much higher frequency band. Now, if you would step into the 7th dimensional state, with your very dense physical body, with very low and slow mechanisms which are holding it together in that state, you would disintegrate.. Your physical form would not be able to hold its low frequency band and therefore cannot hold form in the 7th dimensional state or higher. You can however access the 7th dimensional state through your soul (and the soul connects directly to the heart energies) which is infinitely connected and exists in multiple dimensional, parallel lives and Universes, in other galaxies SIMULTANEOUSLY! It is not bound by the physical form at all and you can tap into your higher soul frequency bands anytime and then tune into the other dimensions and the Super consciousness energy fields at all times. Your soul is not bound by anything. It can therefore move in the infinite cosmic spaces of all existences, once you remember how to tune into them. It is when you wish to switch television channels – some of the channels you can only access with the correct satellite mechanisms and technology. For instance the pay channels will prohibit you from just using their connections, and then other Institutions also have security systems in place, so that persona non-grata cannot access this. The same basic principles apply to the Super consciousness Energy Fields which are held in the collective 12 Central Suns and then those of their Ilk. It also has its own security systems in place, mechanisms which will prohibit anyone from accessing them who do not have the correct intent, nor the correct decoding systems. There are places on planet Earth where those same Energy Fields have been carefully hidden and access has been denied to human beings for billions of years, until they finally can start accessing them, with the correct keys and codes. However these are so carefully programmed and therefore intricately encoded that only those which the correct SOUL INTEGRITY and PURITY OF INTENT will ever be able to access them at this time. The crux lies in humanity and their inability to keep their own integrity, truth and higher states of Consciousness, without at some stage resorting to self-destruction and with it then sink int the sea of forgetfulness. The greatest lesson to master for the collective mankind is the LAW OF POWER AND RESPONSIBILITY. The use of power, with integrity and within cosmic Laws – never to destroy, to use against each other, but to use for the greater good of all, and for the enhancement of what already exists elsewhere in the cosmos. What I have experienced in the last few weeks and months have had me reeling at times. I have been steadily prepared for this massive energy work since 2004 when I went through a total dying of the old me, and then culminating in 2008 when I finally had the guts to heed the call, and to allow my old Eve to disintegrate and myself cleanse, cleared, revamped, and systematically upgraded for this work. With it I had to let go of all restrictive thinking, belief systems, and all ideas of what I thought was physical and what I thought was non-physical. I literally often had to disintegrate and allow myself to disintegrate completely – before I could access what I had to retrieve, and then allow myself to remember how to ‘read’ what I had to ‘read’ and remember doing. Systematically I started to learn to tap into these energy fields and then also to do the work with them that I was supposed to do. I had no maps to go to, for the so-called ley lines, and the so-called RULES (the grid system that even the army, navy, air forces are aware of). I had to totally prepare myself for something so ancient, so high in technology, and no futuristic, that it took my breath away and had my mind reeling. I could not understand this with my mind only – I had to understand it with my soul connected to my heart, my inner knowing. Yet, with all of this, I had to do the inner work. I had to shed skin after skin after skin, for if I had not allowed myself to reinvented, rebirthed, I could not have done this work. Yes, I am humbled to the very core of my being, for what I experienced goes beyond words, beyond expression as often I experienced such immensity of being and technology, soul expansion, for which I struggle to find the human language to start expressing this. The human language, was only given to human kind AFTER THE FALL, for before that they had no use for language, for they communicated telepathically. That is also why you will not find their history recorded on clay tablets, nor in hieroglyphs, nor in such like very primitive form – for writing is primitive. There were far more advanced ways of recording which go way beyond even our IT abilities, and our own recording abilities. It is such high technology that we will only be able to regain this expertise in the next thousand years when the New Golden Age finally makes its appearance. I often stood with tears running down my cheeks, having experienced the inexpressible, and knowing I could not share what I just experienced with any human being I knew – mainly because they would not understand the immensity of this, and the profound KNOWING. Yet, now is the time where my story has to become public and for the understanding to dawn to humankind that we are on the threshold of returning to the Cosmic Citizenship fold. I profusely thank the Lion People, the Ancient Ones, my cosmic helpers and those pertaining to this, the Divine (with whom I cannot function nor live nor breathe), and those who stood by me in this time, even if they could not understand what was happening to me, and why. All I can say is that I would not be able to do my Soul Readings, if I had not gone on this journey. Since then I have been given this gift to assist me to pay for the journeys I had to undertake and for the writing and recording of this. This forms part of my highest service to mankind, and I am infinitely grateful that I can assist souls in this way, and through my writing and teaching on a daily basis to a global expanded audience. Nothing in life comes without a cost – but whatever this cost me in ways few people even know or understand, I would not have one bit of the journey changed and I am grateful that my soul volunteered to come and do this work, and I am grateful that no matter how much I was challenged, and how hard the going got, nor how hard the initiations and testing, that I never gave up and that I now can gift humanity with this book, the knowledge, and this higher cosmic understanding of energy fields. Here I stand – I can do no other, than serve with all that I AM. There is a great and ongoing connection now the great Central Suns and the 12 Master Galaxies pertaining to those, which all formed part of the original Creation. Therefore then there is a steady awakening of very ancient energy fields, which hold within themselves immense encodements and glyphic awakening keys for mankind, as it has been ordained by the Intergalactic Federation to come to pass at this time of massive shifts on the planet and in the Milky Way Galaxy. The Ancients had immense knowledge of energies and energy fields, which were then utilized in ways in which we have forgotten about. This is was high technology and it worked on a different dimensional scale that what we are used to now. All our modern technology cannot even compete with this type of advanced knowledge and as we grow more and more into conscious awareness as the planet shifts, we will be given access to this knowledge as we are ready to receive it, without abusing its powers. In the last month I was called to Mauritius and Reunion to open up a vast energy field portal there and as I was tapping into this, I became aware of the immense knowledge held within such force-fields. 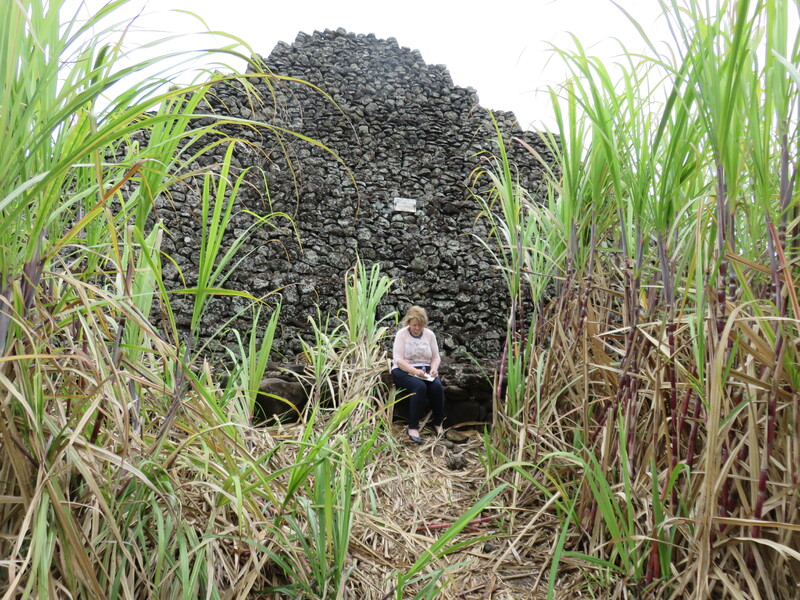 I also stood in sugar cane fields tuning into what is the remaining pyramids in Mauritius, and then tuned into what has been there before. All of this has been confirmed in the meantime, but I just want to use this as an illustration that one has to be consciously aware of what is encoded and used in glyphic keys in these places, in order to access them. I will not go into more details here as this forms part of my book WHY I WAS BORN IN AFRICA, but my understanding rises every single day of what these vast energy fields contain. A lot of people talk about the GRID, Ley lines, or Web of Light, but that was laid down at the time of Atlantis and therefore is much younger than the original energy grids and fields laid down when the earth was created. So the Grid is there yes, and those doing dowsing can tap into that energy grid quite easily and most this aligns with the moon and sun, but all forget a third component, which were the sun discs, that the ancients used and had massive golden ones in their temples to remind them of the Central Suns. The Sun discs did not incorporate the 12 signs of the zodiac, but in fact the 12 original Central Suns, as each of these Central Suns, holds a certain key encodement of the higher states of Enlightenment, thus Cosmic Consciousness. They all slot into one single Central Sun Super consciousness Energy field and therefore the 12 and 13 always play a central role in the unlocking. Most people on earth are only aware of one single Central Sun and unaware of the rest, but one cannot reach the higher states of evolutionary enlightenment or super consciousness without understanding of the 12 Master Central Suns – for they hold the keys and codes of ALL of Creation – therefore all that is held and created and is operational within under the Central Suns. 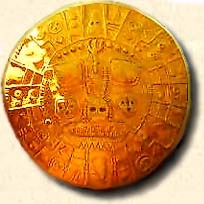 The Ancients knew this, and therefore the Sun discs were not just there for adornment or for some or other ceremonial purposes – they were in fact giant computers which tapped into the vast knowledge and Super consciousness energy fields of the Great Central Suns. Their inner workings was like that of a clock – as each central spoke clicked mechanisms it would open a portal to a certain energy field as held within the disc this would unlock the knowledge contained therein. The Central Suns then are great powerhouses of immense importance and unless one learns to access their knowledge, one cannot move up into a certain higher evolutionary dimensional states. There are conscious Beings on other galaxies and star systems who are so highly advanced that we are like the most primitive or primitive species in comparison to them. The meaning and the purpose of the Central Suns will be more and more understood as we advance in consciousness as the shift now is escalating. However with this one has to first of all understand, that unless one is open and ready for such information, one will not gain access to it. It is mostly so, that those who think they know, do not know, for they are blind to that which stirs the cosmic science and therefore is the foundation of what knowledge is – but in a totally different form than any human being would look for it. Such is the wonder of knowledge hidden purposefully and with great innovation, that the blind can see, and those who think they can see – are blind. We are moving towards the completion of a planetary phase, the first phase in the birth of the New Earth. Since 1994 immense changes have come in on multiple levels in order to shift the planet into a much higher frequency band, and therefore all upon her. A lot of us have been through immense upheavals, literally being uprooted, revamped and reinvented in the last few years, as the old life steadily has disintegrated and a new life slowly but surely started to emerge out of the ashes of the old. The Phoenix rising from ashes has become our symbol, so to speak, for truly sometimes we could not see for seeing but have to have faith that whatever was happening, was bringing in a new and higher form of life. The massive portal opened with the harmonic convergence in 1994, 11:11 now is moving into the 777 as the Central Sun of the 7th Galaxy is now starting to make its Presence felt. It was the sun that affected us in the creation stages of this planet, and will now start influencing us on all consciousness levels, as this is the Sun of Illumination – that which shifts us collectively into much higher gear. It acts as a portal opening up for those who are ready to step into it, which will allow us to truly now step into our co-creator roles, and into and onto a much higher frequency band for it is that of the earth returning to its origins – its creation and that which it has been created for. It has to do with the mass awakening of the inner earth, as that inner earth layers, which was originally created, with its massive pyramids and the pyramid grids, will open up (indeed is opening up) and the mass energies released from within, and the 777 energies move in cosmically. The two work in tandem and are interlinked. The 7 acts like a massive lightning bolt, it not only cleaves open, it ignites, like a lightning bolts is charged with immense electromagnetic energy, the 7 amplified literally is pouring in vast electromagnetic frequencies into planet earth and into our Being. It brings the full activation of the return of the codes of alchemy and magic – that mystical Beingness. Indeed it is the ray of ritual, mysticism, ceremony and magic. It will enable the spiritual and physical to blend, to merge and to become AS ONE. It is stimulating ancient memory banks opening, ancient higher healing techniques returned and the awakening of SACRED WISDOM. For the first time in millennia we will be able to create something extraordinary, something that has never been before, and therefore we have to get crystal clear about our intention and what we intend to create in the next few years, for the 7’s will amplify this. Alchemy always has to do with changing forms – lead into gold – transformation. We are in the process of changing form, being alchemized. Transformed and in transforming all around us is transformed. Nowhere is this going to show up more than in the area of relationships, which reflect the microcosm and macrocosm of society at large. If we wish to create a New Earth, first of all we have to get our own house in order, for if we cannot even find unconditional love for ourselves, how can we find it for others? If we cannot create something extraordinary with our nearest and dearest, how can we co-create the world? In essence magic has always been the ability to use energy and energy form and then to change that form into something else – therefore shift is some way, to become something else. Or to use energy and create in amazing ways that which we would love to bring about in some form. Slowly but surely there will be a new emergence happening here with this shift. It will be that we find that in the changes of our inner core self, where we step into higher alignment and awareness – become more conscious and more cosmically aligned, that we emerged as new Beings. We are now learning to take responsibility for what we create! In other words, every day we become aware of our thoughts, our deeds, our inner seeing, and then focus on what we do wish to create, and not on what we do not wish in our lives. So the shift here is subtle but sublime. For with the release of the pyramid energies we will be bombarded with an energy that is so potent, that it will literally pull us into a much higher state of Being. It is illuminating from outside and within. When such high frequency energies are released the sluggish density cannot sustain form. So, all that no longer serves the collective whole will systematically disintegrate. When we refuse to change nor to be changed, we will not be able to step through this portal. It is like we are given a flight ticket, and when we arrive at the airport and do not find the correct plane, we will miss the flight. It is not like the plane was not there – it is that we did not board it on time – it took off without our being on it. What is now being created is something we have forgotten about, but it has always been there. It is the deep connection with the cosmos as a cosmic citizen, where we not only see the bigger picture, but we create within the cosmic laws. I was inspired a few days ago to think about what I would love to create in marriage – what would I love to create with my Divine Other and in what way. As I was doing this, I was suddenly seeing this new portal opening and what lay beyond it, and I realized that I had the opportunity now to not only put out the intent, but to release it into this new energy field and it would emerge into Being. Yet, what I wished to create, would also have to be in higher alignment with my own soul and Being, for otherwise I would challenged to the very core, to keep to what I created in some form or another. The key word here is responsibility – when one steps into the role of co-creator you have to take responsibility for what you are and have created. What is it that you would wish to create that will have a profound and lasting effect on the New Earth? What is it that would wish to create in your relationships? What is that would wish to create in firmly anchoring in your soul mission onto planet earth? The portal has opened to truly create something extraordinary, something amazing and to do so from the innermost heart and soul and with great love.